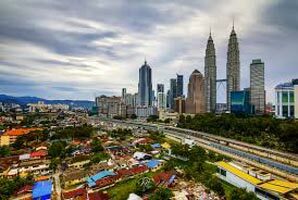 Kuala Lumpur Guided City Tour. Enjoy Snow World Genting Highlands. Singapore Gardens by the bay with Cloud Forest. Super star Gemini 3Nights Cruise.Any increase in the Visa fees, Airfare/Taxes charged by the airlines on your air ticket (calculated at 1st July, 2016 rates). Welcome to Malaysia - the truly Asia country. On arrival your local representative will be waiting outside the customs area to meet you and take you to your hotel (Check-in time is after 3.00 pm). The evening is free for you to enjoy the city's night life on your own. Overnight at the hotel in Kuala Lumpur. Today, we proceed for a guided city tour of the sprawling capital city of Kuala Lumpur. See the 88 storey Petronas Twin Towers, Lake Gardens with National Monument, National Mosque and Merdeka Square. Later, we proceed for a truly unforgettable and the ultimate experience in Malaysia, as we enter the world famous resort in the cloud ‘Genting Highlands. On arrival at Genting Highlands, enter a world of enchanted attraction at the Snow World. The Snow World houses fantasies and wonders on a fairyland high at the peak. Experience the attractions as you walk into the Snow World in First World Plaza. In the evening, we proceed back to Kuala Lumpur. Enroute we take you for a short visit to Batu Caves, a Hindu Shrine. Overnight at the hotel in Kuala Lumpur. Today, board your coach and get set for the Lion city - Singapore. On arrival into Singapore, we proceed to our hotel and check-in. In the evening, we take you to visit ‘Gardens by the Bay with Cloud Forest’. This super park is a home to more than a quarter of a million rare plants in huge domed conservatories, spanning over an area of 100 hectares. Overnight at the hotel in Singapore. Today, the entire day is kept free for you to explore this magnificent city on your own or you may complete your last minute shopping. For all your branded materials, shop from the various famous malls in the city. For local shopping head straight to the Bugis Street which is a unique retail shopping destination with almost 800 shops making it the largest street shopping location in Singapore, with fashionable clothing, accessories, to beauty products and a lot more to offer. You also have a chance to select and join the suggested excursion of your choice. Jurong Bird Park houses one of the largest collections of birds in the world. 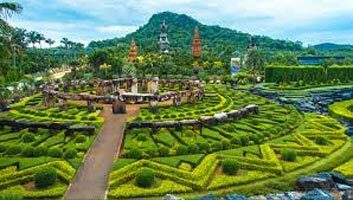 Must-visit key attractions at this bird paradise include the Bird Discovery Centre, African Waterfall Aviary, Lory Loft Aviary, South East Asia Birds Aviary and the award winning African Wetlands. Singapore Zoo is a 26-hectare wildlife park nestled within the lush Mandai rainforest that stretches into the magnificent Upper Seletar Reservoir. More than 2,800 animals representing over 300 species of mammals, birds and reptiles are housed in the Singapore Zoo. View the animals in environments that have been thoughtfully built and landscaped after their habitats in the wild. Night Safari adjoining the Singapore Zoo unfolds the mystery and drama of the tropical jungle with stunning effect. It offers the unique chance to witness animals in their recreated natural environment in the dark. See the animals play, prowl and feed in the grounds of the tropical night safari. Overnight at the hotel in Singapore. Today, we checkout of our hotel and proceed for a guided City Tour of Singapore. See ‘Swissotel The Stamford’ one of the tallest hotels in the world, Parliament House and City Hall. Take a photo stop at the Merlion - Singapore’s famous symbol and The Esplanade, Singapore’s pride and joy. We end our city tour with a visit Singapore Gems factory. Later, we proceed to the cruise terminal to board our cruise - the Superstar Gemini. Superstar Gemini brings you to a world class exclusive floating resort on the high seas, offering you an impressive array of facilities, entertainment, recreational activities and services. Treat yourself to the finest cuisine on board various international restaurants. Overnight in the comfort of your cabin. Today, you have an option of joining the several optional shore excursions in Penang or you can explore the beautiful city and its beaches on your own. Enjoy sumptuous meals on board the cruise. Overnight in the comfort of your cabin. 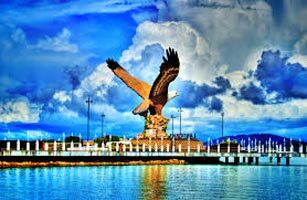 With its beautiful beaches, Langkawi is one of the most famous tourist destinations in Malaysia. You have an option of joining the several optional activities or you can explore the beautiful beaches of Langkawi on your own. Enjoy sumptuous meals on board the cruise. Overnight in the comfort of your cabin. OR Arrive into Port Klang - Malaysia Enjoy a buffet breakfast at leisure as your ship sails towards Port Klang. Upon docking at Port Klang, you have an option of joining the several shore excursions to Kuala Lumpur City. Or entertain yourself on board, enjoying the many facilities offered by this mega ship. Enjoy sumptuous meals on board the cruise. Overnight in the comfort of your cabin. Today, relax in the comforts of your cabin or enjoy the many activities on board the cruise as your ship sails into Singapore. After completing the disembarkation procedures, we board the coach and proceed to our resort in Sentosa Island and check-in. The evening is free for you to enjoy Sentosa Island on your own. Overnight at the resort in Sentosa Island. Today, the day is specially kept free for you to enjoy this fabulous resort OR you can OPT for the suggested excursion to the Universal Studios. This Theme Park will offer you excitement, thrill and a great fun time with their featured brand new rides and unlimited entertainment. Witness the worlds first Far Far Away Castle in The Shrek 4-D adventure. Meet the terrifying T Rex in The Lost World, ride the worlds tallest dueling roller coasters at Sci-Fi City and witness ancient Egypt on the psychological thrill ride - Revenge of The Mummy. In the evening, we take you to visit S.E.A. 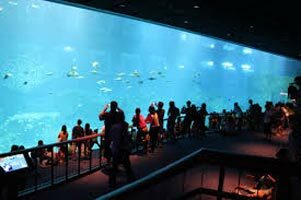 AquariumTM at Resort World Sentosa, where you will discover the awe-inspiring world of life in the ocean at the worlds largest aquarium. Immerse yourself in a magical marine world. Discover the endless wonders of the blue planet at S.E.A. AquariumTM which will take you and your family on an unforgettable journey. Later, we visit Sentosa Island for the fabulous light and sound Wings of Time show. Overnight at the resort in Sentosa Island.